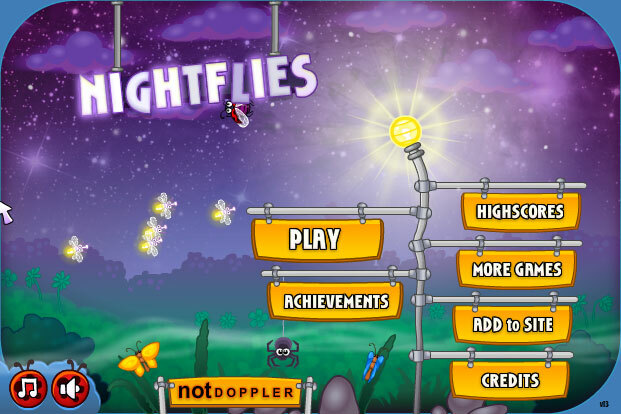 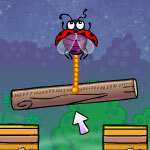 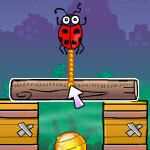 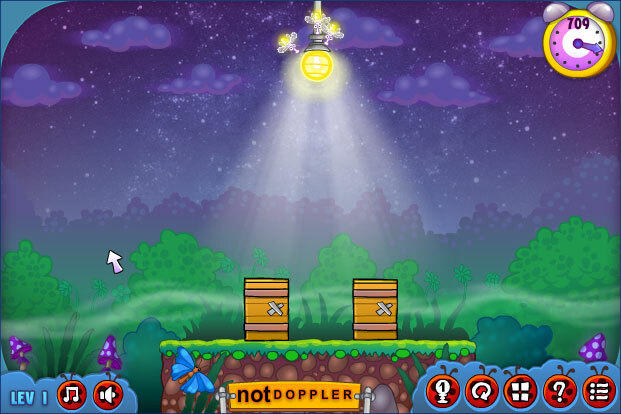 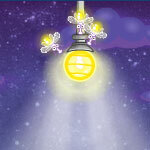 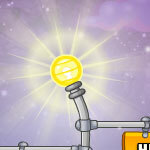 In this level based puzzle game, each level has some colorful lanterns on or near the ground. 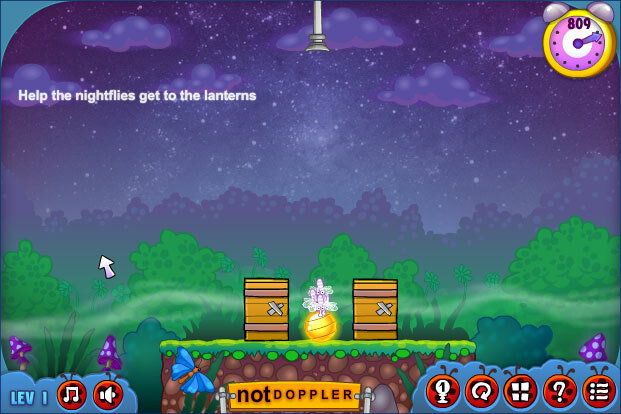 Your job is to clear a path so the nightflies can pick up the lanterns and carry them to their proper place above. 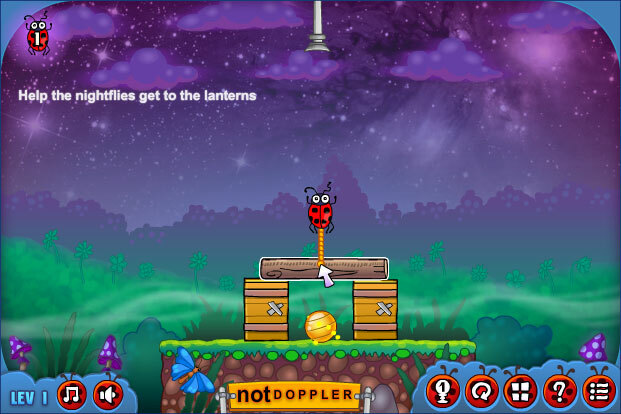 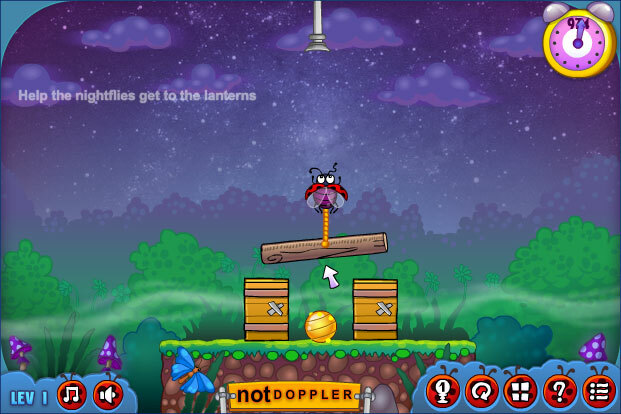 Use your MOUSE click to select obstacles and call the ladybug to pull or lift it out of the way and click again on the lantern to lift it.